HomeBlogAre Electric Tooth Brushes Better or Should I Stick to a Manual One? Are Electric Tooth Brushes Better or Should I Stick to a Manual One? A question posed by many is if they should transfer to an electric tooth brush. Today technology plays a significant role in people’s lives, so why not use it while brushing your teeth too? The good news is you don’t have to rush out and purchase the most advanced electric tooth brush. Both manual and electric toothbrushes will work the same, depending on how you use them. It is like comparing an automatic car with a manual one. Both cars will have the same performance depending on how good the driver is. If you are quite adept at using a manual toothbrush with a correct technique and use it for minimum of two minutes, then there is no need to use an electric toothbrush. 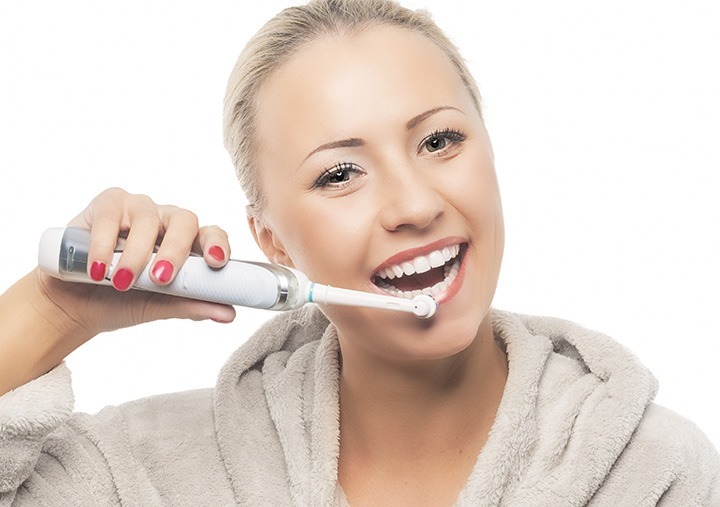 The electric toothbrush is useful for someone who is not skillful in proper brushing techniques or tends to complete the brushing earlier than the time recommended. Children also find the electric toothbrushes more user friendly. This is a great way to encourage children to brush their teeth twice a day as it can be considered a novelty rather than a daily struggle. An electric tooth brush also requires less effort while brushing. By just placing the brush over the tooth using it’s pulsations and movements, it cleans your teeth without you having to do any brushing strokes. Many of the electric toothbrushes also come with timers that can be set to two minutes so that there is no guess work on how long you have brushed. Previous post: Will the Gaps Between a Child’s Permanent Teeth Close Over Time? Next post: Do you Have Inflamed or Bleeding Gums after Flossing? Find out the Correct and Safe way to Floss.